Thanks to advances in regenerative medicine it is now possible to use your own body’s resources to heal itself. With this technique, it’s possible to isolate, concentrate and extract growth factors with proteins which are present in ourselves to repair our tissues naturally. Plasma rich in growth factor enables our proteins to rejuvenate our skin in a completely natural way giving a healthier appearance. Wrinkle reduction – the filler effect achieved through the use of PRGF Endoret technology softens the wrinkles in the treated areas. 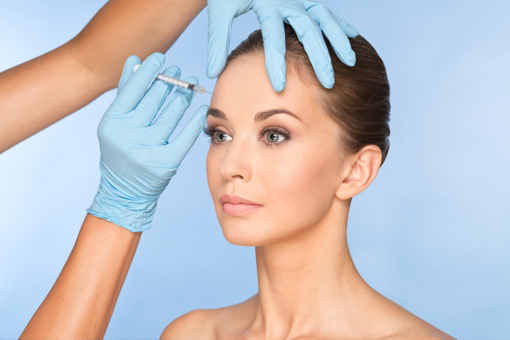 The facial expression lines lose their depth similar to the way they do on with using dermal fillers. Hydration – ensures a high level of skin hydration compared to levels obtained with other cosmetic treatments and has been proven in clinical trials. Skin luminosity – it makes skin recover the lost luminosity over the years. Patients that have gone through this innovative treatment achieve a higher luster of the skin. Production of Hyaluronic acid – it stimulates the natural production of Hyaluronic acid. Increased consistency – promotes the increased secretion of collagen and elastin. This generates a greater consistency, firmness and reduces sagging in the skin of the patient. The treatment is recommended from the age of 35 to slow the aging process, or from 45 for its regenerative and corrective effects. The PRGF Endoret is injected into the middle layer (mesoderm) of the skin hence it is referred to as “mesotherapy”. It is placed either manually or mechanically using the state of the art device which makes the procedure virtually painless and fast. The procedure consists of three treatments (£490 each), a month apart and an initial consultation of £50. Payable on an appointment by appointment basis. One to two sessions per year dependant on your needs. PRGF Endoret: An initial consultation of £50 and three treatments of £490 each (a month apart).